Elena DeLisle has been teaching Music Together® since 2004 and continues to love every minute of it! She is the owner and director of Shoreline Music Together. 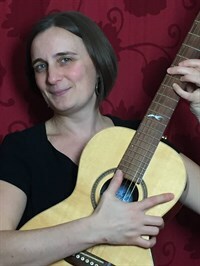 Elena has a BA in Jazz studies and, in addition to Music Together, she teaches private lessons on guitar and piano, group classes to older kids, and plays guitar actively in several local bands. She is the mother of two school-aged children, Adah and Wes. 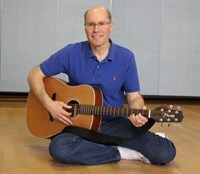 David discovered his enthusiasm for Music Together® while attending classes with his two young boys. He decided to take the teacher training, did a 10 week internship with Elena and has been teaching the Saturday classes at Shoreline Music Together ever since. Elena is thrilled to have him on board!